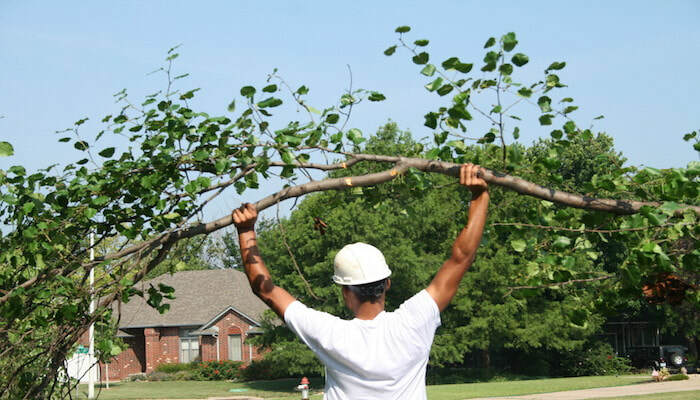 Grace Tree Service is a full-service tree care company. We provide traditional tree care services as well as more specialized services that only trained, certified arborists are able to offer. We provide both residential and commercial tree care throughout the Warren County area, not just in Mason, OH. We also aim to provide the best value in tree care by offering quality services along with affordable pricing. While we may not be the cheapest tree contractor in the area, we do believe we are the best value. Quality tree care is expensive to provide. Equipment expenses for a professional tree company can be over $100,000. Dump trucks are $25,000 and up, stump grinders are $10,000 or more, and wood chippers are $15,000 plus. Further, insurance coverage, both worker's compensation and liability, is expensive. Our worker's compensation adds 20% on to our labor expense. Lastly, labor itself is costly as trained, professional, and certified tree experts demand good pay. With all this said, we balance these expenses by offering our clients affordable rates for tree removal, tree trimming, and stump grinding. However, we believe it is important for our clients to realize that to be a professional tree service company it takes a capital investment some are not willing to make. 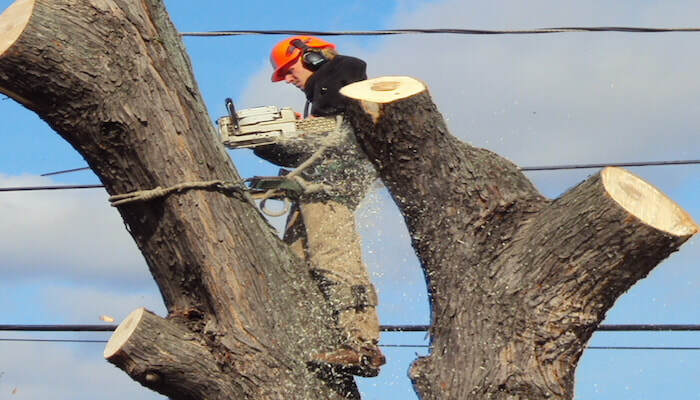 Large Tree Removal - while cutting down a tree is unfortunate, it is required in a number of circumstances. For example, a tree that is growing to close to a building or home often needs to be removed at some point. Also, trees that create landscape and other issues for property owners are often removed. Removing large trees requires skill, experience, and equipment, especially when they are located next to property structures. Further, tree service work can be dangerous, so any tree professional you hire should offer both liability and worker's compensation insurance. If they do not, you could be liable for any injuries or accidents that happen on your property. Tree Trimming - tree trimming is an overlooked but very necessary tree care maintenance activity. Landscape trees, unlike forest trees, can grow unchecked and without competition. Conversely, trees in a forest often can only grow up as they compete for sunlight. Further forest trees can shed dead limbs without impact to property structures or expensive landscaping. However, trees in landscape do not have these "luxuries" and must be trimmed regularly in order to avoid overgrowing and becoming a hazard to your property. Stump Grinding - most property owners prefer the stump to be removed after they have had a large tree cut down. Stumps are both ugly as well as harbor insects, which can be hazardous to family members and pets. Grinding the typical method to remove a tree stump, however stump removal using a backhoe can be done when the area needs to be prepared for construction. Emergency Service - strong storms and ice can wreak havoc on trees. When you experience storm tree damage, especially when it has affected your property, you usually need emergency tree service ASAP. 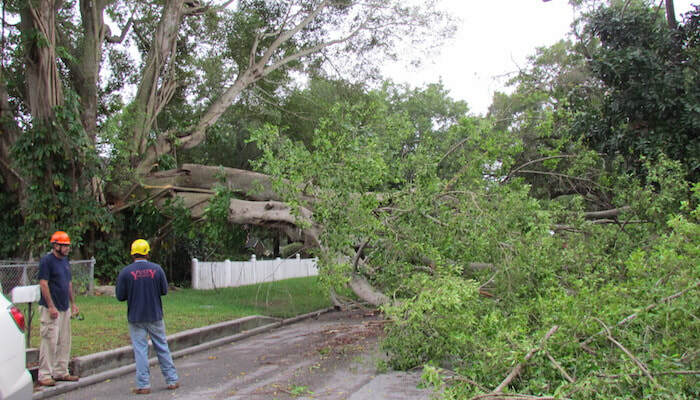 As a result, Grace Tree Service operates 24x7 during storm aftermath periods to get your property cleaned up fast. Wood Chipping - if you have brush piles or other tree debris, we offer wood chipping service to rid you of this nuisance material. We can usually clean up a brush pile in an hour or two. Shrub and Brush Removal - if your property is overgrown with scrub brush, such as wild blackberries or raspberries, we offer brush removal service. We can also remove old or unwelcome shrubs, such as Taxis plants. Arboriculture Services - we offer professional arborist services, such as cabling and bracing, tree spraying, fertilizing, disease diagnosis and treatment, etc. Call us to discuss your specific requirement. If there is a service not listed, please call Grace Tree Service to discuss your requirement with one of our certified arborists.